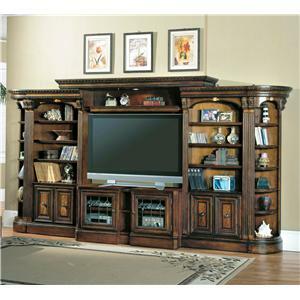 Create the perfect entertainment center in your home with the beautiful detail and traditional styling of this entertainment center wall system. 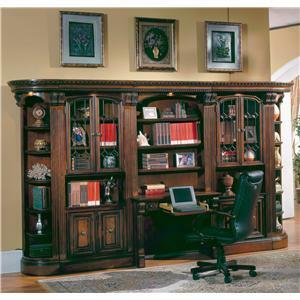 This substantial entertainment center gives you twenty-three (23) shelves of media storage, book storage, and display space. 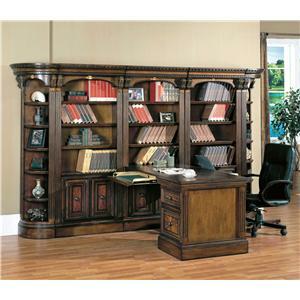 Comprised from two (2) twenty-one (21) inch open top bookcases, two (2) thirty-two (32) inch open top bookcases, an expandable TV console and an expandable bookcase bridge, this set is a large wall unit that provides a generous allowance for a large TV. 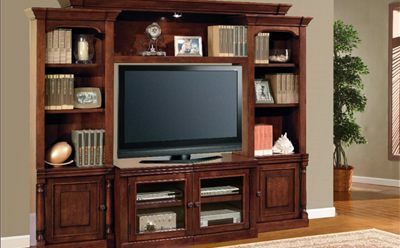 Four (4) enclosed shelves below the TV are great for your DVD player, cable box, video game consoles, and other electronics, while the open shelves can be used for DVD, CD, or book storage. 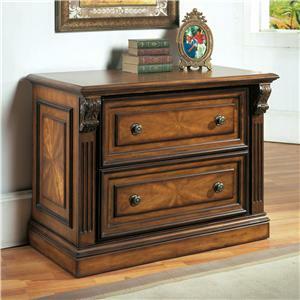 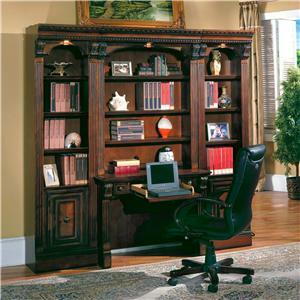 Built-in lighting highlights your personal collections and gives you great ambient lighting. 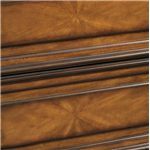 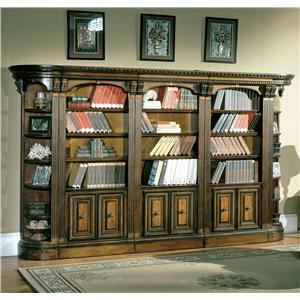 Intricate carved details, rich wood finishes, leaded and beveled diamond patterned glass doors, and thick dentil moldings complete the luxurious traditional style and give you a look that is truly impressive for your home and your home theater or entertainment needs. 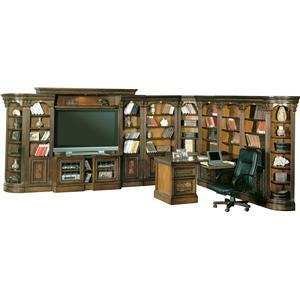 A TV that is 48 inches to 72 inches wide can fit into this wall system configuration. 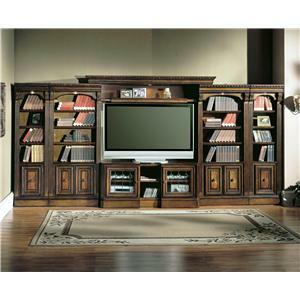 The Huntington Large Entertainment Center Wall Unit by Parker House is available in the area from FMG - Local Home Furnishing. 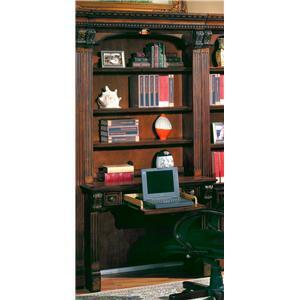 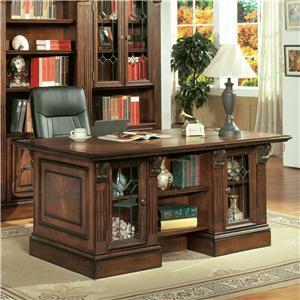 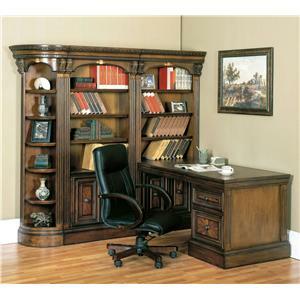 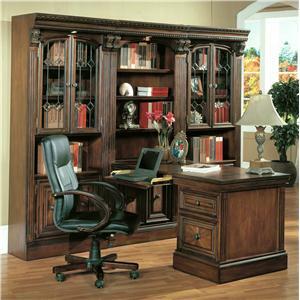 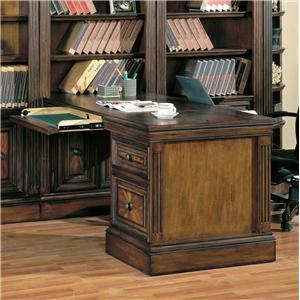 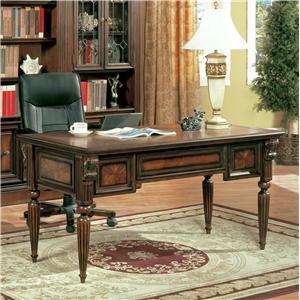 HUN#400 Expandable Bridge, Shelf and Back Panel 1 81" 20.5" 5"
HUN#430 Thirty-Two Inch Open Top Bookcase 2 32.25" 17.75" 80.25"
HUN#415X Forty-Eight Inch Expandable Console 1 48" 20.5" 27.25"
HUN#420 Twenty-One Inch Open Top Bookcase 2 21.25" 17.75" 80.25"
Storage 23 total shelves of storage and display space. 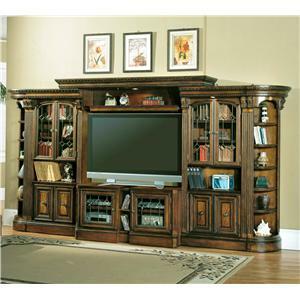 4 shelves behind glass doors and 2 appearing as TV console expands. 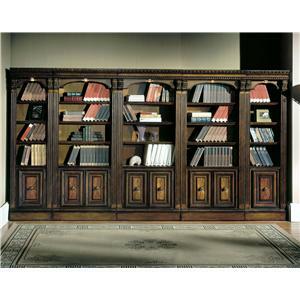 6 additional doors of closed storage space.